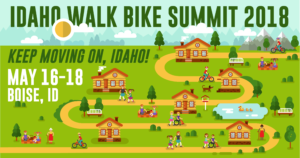 Thank You For Making The Idaho Walk Bike Summit 2018 A Huge Success!! We’ll See You In 2020!! 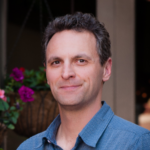 For Video and PowerPoint presentations from the Idaho Walk Bike Summit 2018…..Click Here. 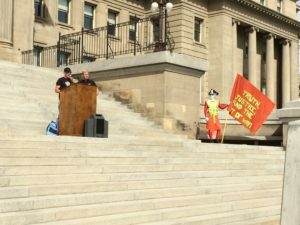 Join us for the second Idaho Walk Bike Summit at the Idaho State Capitol building! Advocates, city staff, transportation professionals, planners, and elected officials from all over the state will come together to share information, learn from one another, and get to know each other. 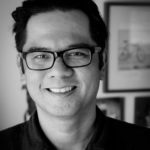 Our goal is to provide education and training to a diverse audience through a selection of relevant topics on bicycle and pedestrian design, advocacy, land use, funding options, health and wellness, and more. We wish to increase participants’ effectiveness at creating safe and accessible environments for walking or biking, whether that is at a city, county, regional, or state level. Idaho Walk Bike Summit attendees represent a spectrum of people from a variety of communities who are engaged in bicycling and walking. While the Summit will be held in Boise, we want small, rural communities well represented to share successes and challenges they face locally. Many great speakers, workshops, ideas, and loads of fun – we look forward to seeing you there. Real Stories. Real Challenges. Real Opportunities: The human toll of walking and bicycling in Idaho is real. People are put in harm’s way trying to express their freedom to move about their communities as they choose. It can’t be this way. What can you do? The ideas and stories collected the first day of the summit will propel advocates, agencies and elected officials to action improving the conditions for Idahoans who walk and bike. Thinking about starting a Safe Routes to School program in your school or community? If so, Elaine Clegg of Idaho Smart Growth will offer a convening the afternoon of Wednesday, May 16 at the Idaho State Capitol building. After a full day of collaborating together this will be an opportunity to kickback, socialize, and enjoy great local beer! Sponsored by our friends at George’s cycles. 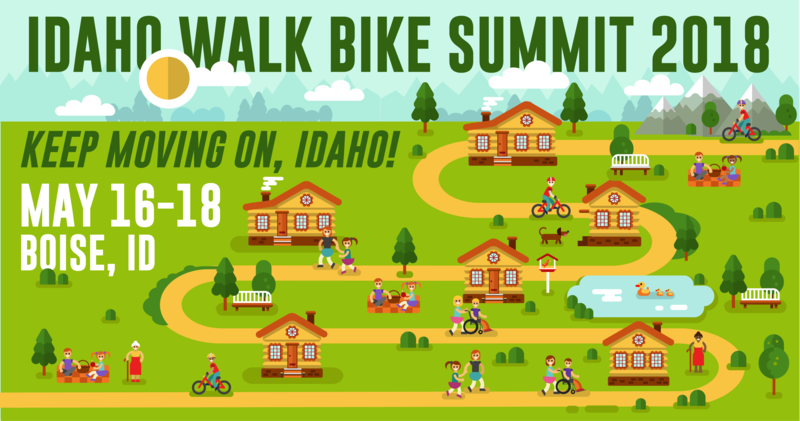 Be a part of the 2018 Idaho Walk Bike Summit! In addition to attending all the amazing workshops this Summit offers, your registration covers our Wednesday evening Welcome Reception at the Idaho Walk Bike Alliance office in downtown Boise with two free beers per person. It also includes light breakfast both Thursday and Friday mornings before the Summit begins. Additionally, we will give each registrant a $15 Downtown Boise Association gift card to choose from a long list of restaurants for lunch on Thursday plus a snack Thursday afternoon during the poster session. Finally, we will provide a celebration party at George’s Cycles on Thursday evening to all registrants which includes free beer and food. If you prefer to simply attend the workshops at the State Capitol building and none of the meals or social gatherings, we welcome you as our guest! Please check in with us at the Garden Level Rotunda in the morning so we can give you a schedule, name tag, and answer any of your questions. A huge thanks to our friends at Boise GreenBike and the opportunity to use this amazing transportation option during the Summit. Go to Boise.GreenBike.com, download the Social Bicycles mobile app or visit one of the 10 payment kiosks to join. Sign-up for pay as you go, there will be no charge. Keep in mind, other charges will remain in place – locking out of hub, locking out of system area, damage or a missing bike. Idaho communities frequently express a need for more collaboration to achieve our common goals of creating great places to live. We are stepping up to this challenge by hosting the 2nd Idaho Walk Bike Summit in Boise next May. The Summit will bring together advocates, health community leaders, city staff, planners, transportation departments, legislators, and other interested citizens in a collaborative effort to better implement non-motorized transportation facilities and policy in communities throughout the state of Idaho. Access for cyclists and pedestrians helps create healthy and vibrant communities, and it even helps their bottom lines because non-motorized transportation facilities provide tangible economic benefits. The Idaho Walk Bike Summit will allow us to educate and inspire advocates from all over Idaho to better effect real change in their communities, whether they are urban or rural, by presenting information attendees can implement quickly and affordably in their towns. It will also present an opportunity to raise awareness about how we work for walking and biking statewide. The Summit will feature keynote speakers, panel discussions, workshops, mobile (walk and bike) tours, and meet and greets. 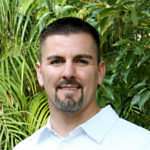 Message training and effective grassroots campaign tools. Assistance to rural communities to think about smart growth and active transportation as viable possibilities. Education on the Safe Routes to School program and how active kids play a huge role in a community’s health. Funding guidance for communities to complete their projects. 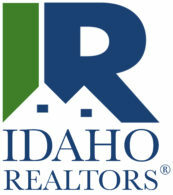 The opportunity to form and strengthen partnerships throughout Idaho among advocates, citizens, transportation departments, and stakeholders to increase our interconnections. Identify and explore partnerships to strengthen and deliver our messages. Thank you to our 2018 Idaho Walk Bike Summit sponsors!